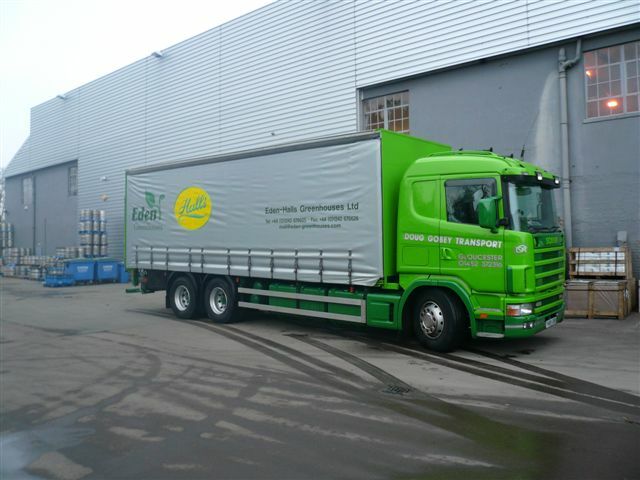 Doug Gobey Transport Ltd is a Gloucestershire based company which has been trading for over 20 years. 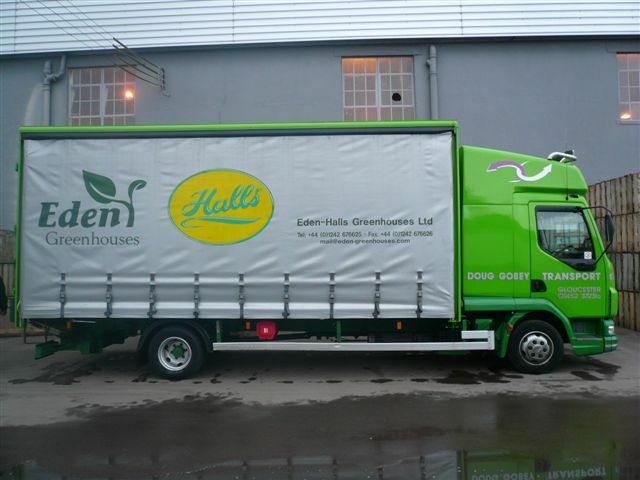 We offer a full and part load service on flat and curtainside vehicles of all sizes. All vehicles have tail lifts and are maintained to a high standard in our own workshop in Cheltenham. Doug started as an owner driver in 1990. Using his agricultural background he started by moving hay and straw, and delivering apples to the cider mills. In 1999 he adopted the distinctive green livery and grew to employ 14 drivers. Running 18 vehicles out of a yard near Cheltenham which is on the same site as his biggest customer Edenhall Greenhouses. Their logo is on some of the trucks. Also providing a service to the recycling, construction and shop fitting industries throughout the UK and Ireland.